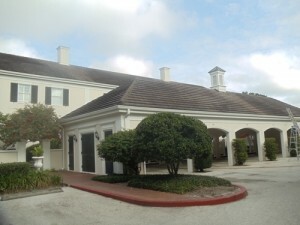 Our professional service was hired to clean and restore these 11 condominiums. The roofs were absolutely covered with black roof algae. Our system, The Peerless Process utilizes a chemical application that is as gentle as rain and with minimal walking upon the roofing tiles. Before the application of our detergent Peerless Punch, we must make sure there is no sediment or debris on the roof. The entire roof is blown free of debris and a ‘prep’ solution is utilized to rinse away sediment. If this step is skipped, the roof cleaning solution will battle the debris and sediment before it ever makes it to the algae. This will cause some of the spores to be left behind causing premature reinfection. All of the tiles are sprayed, and touch ups are applied as needed. The north areas of the condominiums always had a thicker growth of algae. This would require us to re apply our solution with a ‘promise’ coat. Our Tampa Palms roof cleaners call this the ‘promise’ coat to ensure the roof meets the life of the warranty. 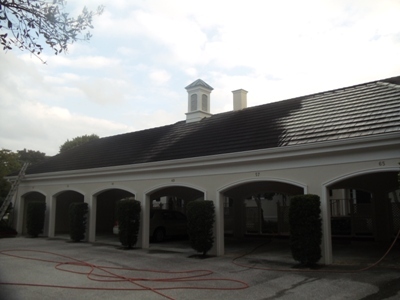 In this specific application, a 3 year warranty was issued as our company was the last company to clean the roofs. We know how long your roof will last when a Peerless Roof Cleaner Tampa Palms comes and cleans your roof. These roofs were cleaned 5 years prior. 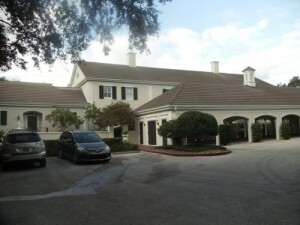 Peerless Roof Cleaning Tampa Palms is a licensed, bonded and insured contractor PA2902. Our process is systematized and is as gentle as rain on your delicate roofing surfaces. We have safely cleaned over 33,000 roofs in the Tampa Metro Areas over 12 years. We are the areas premier tile roof cleaning company focusing on customer service.